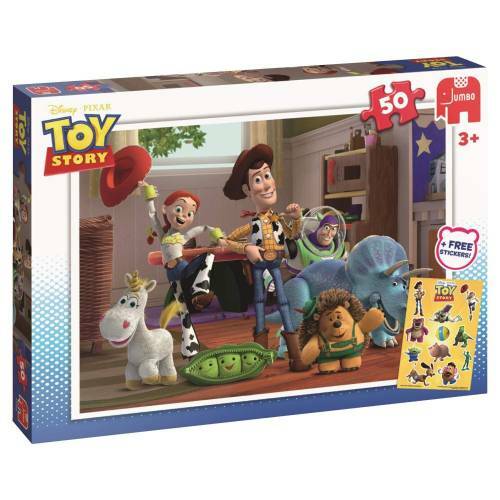 This bright and colourful Disney Toy Story 50 piece jigsaw puzzle is the ideal gift for every young fan of the box office smash hit - Toy Story 3. 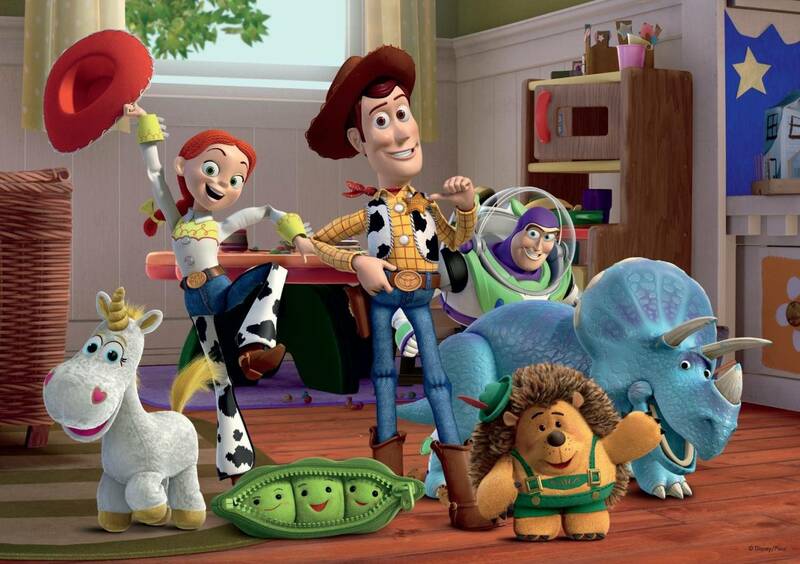 The puzzle image features a variety of the movies favourite characters such as; Buzz Lightyear, Woody, Jessie, Peas-in-a-pod, Mr Pricklepants, Trixie and Buttercup. Puzzling is a great way for young children to develop their early problem solving, hand-eye recognition and logical thinking skills whilst having fun - and this is made even more fun with the help of these fun & inspiring characters and the bright colours to make it even more eye-catching and stimulating for young children.The entire 50 jigsaw puzzle has been produced using a high quality cardboard to ensure your child can enjoy this fantastic puzzle time and time again and all the pieces will still fit together perfectly. The finished puzzle size measures 31 x 21 cm and is the ideal size for children aged 4 and above. 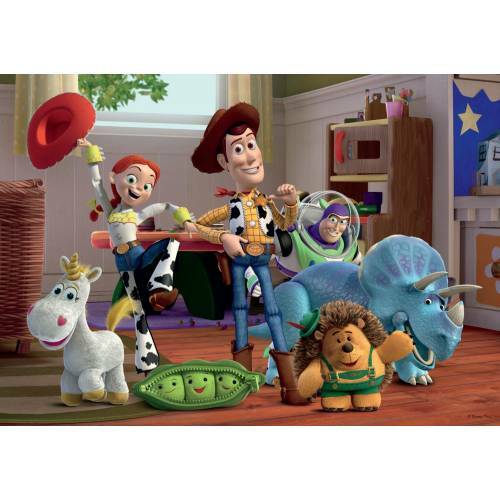 Also included with this jigsaw puzzle is a fantastic sticker sheet which features the popular characters from the successful Disney Toy Story 3 animated movie and is great fun for your little one to enjoy with their jigsaw puzzle.